It’s time to be kind to ourselves. This is a potentially explosive, yet powerful political time. If you are committed to expanding your awareness, presence, and consciousness, you can view this current political circumstance as an opportunity to navigate its presence with a new level of conscious awareness. First, try to remember that our polarization is natural in the midst of all the political rhetoric unfolding. We are pulled to a position that matches our point of view, and so we naturally want to honor our stand. Yet, our job is to remain calm and present to what is. How? 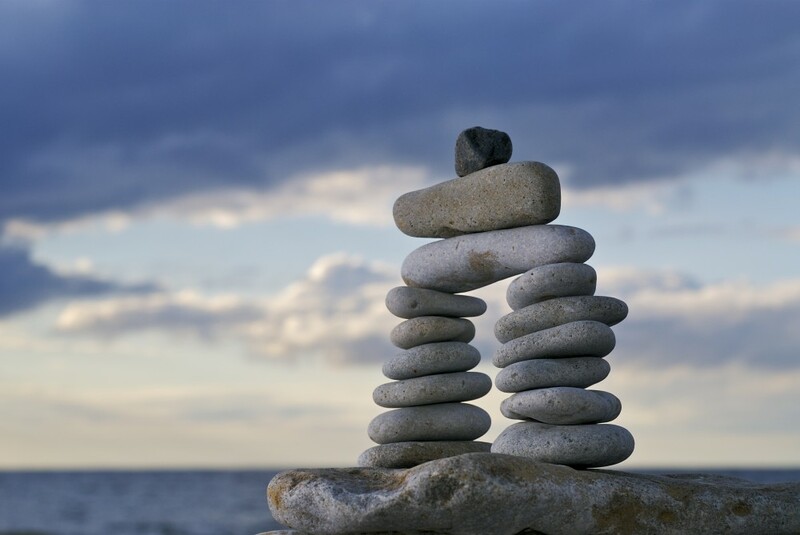 Remember that balance is the key – if not outwardly, then inwardly. So first you have to become aware that you’re getting unbalanced on the inside due to the imbalance you’re viewing on the outside. Second, the larger Whole, to which we ultimately belong, demands balance. This is not negotiable. And, yes, it’s hard to accept that the strategy this larger Whole employs to restore this balance is the arising of the opposite point of view. You may not like it, but if you can learn to accept this paradoxical phenomenon, an opening for greater consciousness and awareness naturally arises. So if greater consciousness is your goal, then this is an opportunity you don’t want to miss. Third, it is our job is to take charge of our viewpoint and move to a position where we can see the value of both sides – as well as the weaknesses. If you can accomplish this, even if only for a moment or two, you become free to rise to a higher, broader, and more aware point of view. Why bother? Being neither for nor against any extreme offers more calm in the presence of the challenge, clearer vision for a possible future, and expanded faith in the power of awareness and balance – and the reality of a real Larger Whole. Fourth, it is our job to bring ourselves back to this neutral point. But remember, this does not equal disengagement. Finding the neutral space in your consciousness doesn’t mean you disengage or pretend you have no personal choice or stance. Your decision to live a more conscious and present life calls you to stay engaged. But this engagement is to unfold from a different state of consciousness just a breath away from any extreme point of view. If you’re feeling a bit lost these days, or upset that you’re getting as politically polarized as everyone else, give these steps a try. To learn more details about how to do it, feel free to check out my book – Unflappable – 6 Steps To Staying Happy, Centered & Peaceful No Matter What, or visit my on-line training The Genius Of Mystic Psychology. Both offer support and guidance for how to depolarize your own mind when it carries you off to extremes. May you find the balance you seek and enjoy the beginning delights of being happy, centered, and peaceful, no matter what.